The world of senior care is often covered in a cloud of confusion for those trying to help their loved one get care they need. This is because of the extremely close nature of the disease that being tended to. On top of that, elderly care involves the people who aren’t suffering from any disease at all, too. Since elderly care doesn’t exactly translate to caring for those with dementia, there are specializations in care that are meant to take care of those in need. This is where the line is really drawn. Although there is a distinct line between Assisted Living and Memory Care, they are often found together. That is because of the way the two often go hand-in-hand when a dementia care option is needed. 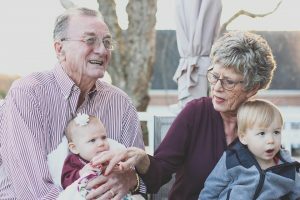 So, let’s take a look at both Assisted Living and Memory Care separately, and then let’s look at why they often come together. Assisted Living is basically what it sounds like, assisting your loved one with living as they need. These care facilities often help your loved one with basic living situations, although some provide total care packages. Think of these places as communities that help care for your loved one’s basic and medical needs. They provide services that you loved one might have issues providing themselves. You could see basic services like trash collection and transportation to grocery stores. Others could have full on medical wings and even include specific care options for your loved ones. There isn’t really an assisted living home that is same as the other, and not all of them are created equal, so it’s important to really shop around for the best assisted living homes, especially if your loved one needs more than basic care. Memory care is a community for folks with memory issues overseen by specialized nurses. The goal of memory care is helping your loved one fight the progressing signs of dementia. This is a specified care that helps your loved one every step of the way through their disease. It becomes more of a personal journey with your caregivers than your traditional assisted living situations. Specially trained nurses will help your loved ones with their assisted living situations. They are able to help your loved one’s memory stay sharper with special memory exercises. They can help your loved ones emotionally cope with the struggles of their disease. 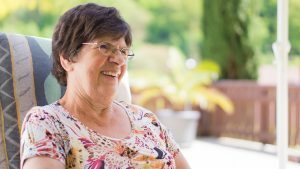 Since dementia unique to its patient, they provide personalized care for each patient with Memory Care. By involving your loved ones in community settings and immersing them in a variety of activities, Memory Care facilities aim to provide a quality of lifestyle care. These might come in the forms of hikes or field trips, and they are a great way to help your loved stay social. Remember, isolation is one of the major signs of developing dementia. Why Are They Grouped Together? I think by now it’s pretty easy to see why these two services are normally packed together at senior care facilities. They are both social communities for the elderly, and the Memory Care specialization fits assisted living like a glove. 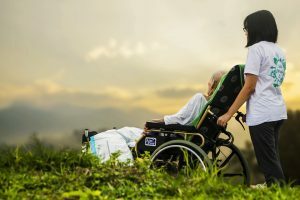 Although there are groups for helping your loved one with Memory Care at home, most of the patients who need it are in need of assisted living as well. They tend to happen in progression for some. This doesn’t mean they always come together. Memory care facilities are designed for those with memory problems who also need assisted living options. As for basic assisted living, it doesn’t require a disease to qualify. It’s really for those people who are getting on in their years that want a bit of extra help with the small tasks. Laundry, trash services, and mealtimes are easier when they don’t have to do them. What Does Good Memory Care Look Like? Good memory care isn’t always the easiest to spot, but when you find the right facility you will know. Make sure you and your loved one shop around when you are looking for memory care facilities together. When you are traveling to the care facilities, make sure you ask to join in. By getting your loved one involved at each facility, you can start to watch how your loved one and the staff interact. It’s a pretty good sign of what the future holds, one way or the other. Although this is normal for assisted living facilities, you can still find services like these for your loved one at home. As we stated before, memory care is a specialization for nurses. You should be adamant about learning the educational background of the staff. On top of their education, you want to talk to them personally. It’s important to convey how important your loved one is to the staff. Their answers should help you rest easy each night. If they don’t keep looking, the right staff for your loved one is out there. Remember, looking good on paper doesn’t always translate to success in the real world. You should also look into the medical staff they have on hand. Can they handle most emergencies, or all of them? Maybe they can only provide basic care like scheduled prescriptions on-site. These are questions you should be able to ask and get straight answers to. When Should I Have the Conversation About Memory Care? Starting the conversation as early as possible is important. This means starting the talk before your loved one even needs assisted living or memory care. Talk to them about their wishes, and try to help them feel in control of the situation at hand. You might be relieved to find that your loved one already has plans for the future. You could also find out that they haven’t prepared at all. Make sure you share every bit of knowledge you pick up along the way, as the more both parties know, the easier the transition. The main goal here is to have the conversation as early as possible. Sometimes your loved one might feel as though you are trying to take their control away. Reassure them that this isn’t the case, and explain the benefits of assisted living and memory care facilities. It’s not about taking their freedom, it’s about helping it continue. How Can You Help Your Loved One Transition to Memory Care? Helping your loved transition into a memory care facility starts with finding the right one. Travel to a few different options in the area, so you can see what each place has to offer. Some places will do certain things better than others, so it’s important to visit a few different places. While you are visiting these places, start to get your loved one involved with the community at the facility. As we said before, these simple interactions can tell you a lot about how your loved one will react to the change in general. The happier they are, the easier the transition, Make sure your loved one is happy with the people at the facility, both residents and staff, but also make sure they like the housing and food options. It’s important! Once you come to a decision on where to go, the transition period can really begin. Make sure you take them to as many events as possible. Remember, you shouldn’t force it on them, but encourage them to be social at their new facility. As they start to attend more functions, you will start to see them immerse themselves into the community too. Make sure you are taking the time to visit you loved one frequently, as it will help them relate their new spot to home. Don’t forget to get them out and about to, so they can have the experience of returning to the care facilities. What Can Your Loved One Expect for a Memory Care Community? A memory care unit is as diverse as memory disease. There are all sorts of people at all different stages of their memory care, especially when it comes to dementia. They will find people their age to have conversations with, busy nurses and caregivers moving about the facility. They can basically expect to go back into the life of rules. This is often the hardest item to get over with your loved one. It’s not that they won’t have freedom, it’s that they won’t have the freedom they used to. They might have to adhere to curfew rules, but you can talk to the facilities about that. Depending on their needs, they may be given a personal caregiver, or they could be cared for in a group setting. It really depends on the activities at hand and their needs. There will be no shortage of local schools showing their choir off, and field trips are a common activity as well. There are also tons of activities on-site, but those vary from facility to facility. These places are designed to not let your loved one feel like they are isolated, and they do wonders for fighting the progression of dementia. What if My Loved One Has a Pet? Your loved one might have an animal that is near and dear to them. The only thing that could that would make this worse would be taking away their best friend. This is why you need to hunt for a facility that allows pets. There are certain facilities that will allow pets for your loved, and their care is normally included in your monthly premiums. This goes for assisted living facilities in general. What Do I Need to Know About Memory Care? The biggest thing that you need to keep in mind with Memory Care is its price. It’s simply more expensive than normal assisted care, but it’s also more extensive. The average cost for memory care is about $5000 a month per resident. That’s a pretty penny, so it might be a good idea to see what your insurance covers for your loved one. There are also long-term life insurance plans that are made for your loved one’s care. Keep in mind that some facilities will tack on additional monthly fees, so be ready. With that being, your money does go a long way for your loved one. You will get 24/7 emergency responders for your loved one, meals, showers, and all the basic care they need. They also get the specialized care of the nurses trained to help dementia patients. At the end of the day, that’s about a $1500 more on average price than assisted living. That price comes down to room privacy, needs, locations, and the community. Also, it’s good to keep in mind what is and isn’t included in pricing. Sometimes, memory care facilities charge extra for specific emergencies or issues. Does Medicare, Medicaid, or VA Benefits Cover Memory Care Costs? Medicare does not provide financial assistance for memory care. For Medicaid, it really depends on your income level. For those who have low income and no real asset background, Medicaid can provide assistance. How much assistance scales on needs. Keep in mind that Medicaid is state-by-state, so it’s hard to say how much assistance you get. It really depends on your location. VA Benefits will be able to help with the cost of memory care. Any form of Alzheimer’s or dementia is covered under veterans assistance. Although you are covered, don’t expect your VA Benefits to foot the whole bill. It will not cover the entire cost, but will help relieve financial stress. If these two are not enough to help you through the financial strife, there are other routes. A few non-profits and national foundations exist to help families in need. They help families who couldn’t dream of paying for care get what they need. They can give your loved one respite care for free, or extremely reduced rates. The final area you could look for help paying for care is the state. Believe it or not, you can ask your state taps into the “general fund” to pay for dementia care. They can provide programs at little to no cost to the families, but there is normally a waiting list. That wait list is what keeps most people from getting the care and housing they need. Where Does the Extra Money Go for Memory Care? The biggest difference between assisted living facilities and memory care facilities is the equipment and staff. Memory care facilities will have the equipment needed on hand to take care of emergency situations. They will have community activities set up for your loved ones with dementia that specializes in behavior control. Speaking of behavior control, wandering is a common problem with those suffering from dementia. That is why the facilities are also watched over 24/7. Should your loved one like to wonder, they won’t be wandering away from the facility. Between the safety and security that memory care provides your loved one with dementia, it could be worth the extra money. Talk with your insurance agent to see what can be covered on the insurance end. Their job is to make sure your loved one is taken care of. Also, if you aren’t dealing with the transition well, most of the memory care facilities extend their services to the family. You can talk to them about issues you are having with the move to memory care. How Do I Watch Over My Loved One if a Memory Care Facility? Caring for your loved one in a care facility can seem like a bit of a question mark. Obviously, you should call often and see them as much you can, but what else? You can start to help by contacting the facilities on your own to see how your loved one is doing from their perspective. If you are unable to care for your loved one day and day out, these people your lifeline. They will be able to give you insight into your loved one’s daily interactions. Being able to hear how your loved one is doing through the eyes of the caregivers might help your loved one adjust to the care. After all, they are your family. If you loved one is doing as great as they say, you will know. You will also get the word should they not be as good. Making yourself known is the best way to help fight against care abuse too. If you are not in the area, try reaching out to other family members close by. Have them make visits as much as they can too. The more familiar faces your loved one is around the better. Also, your loved one might find the comfort to tell other loved ones things they won’t tell you. Having as many people visit and ask questions is the best way to get the entire story. It’s nothing personal, it’s just hard for parents to have those conversations sometimes. Sometimes our loved ones are hard to deal with. It’s just a fact. Sometimes, even the care facilities need a break from the work. Give the caregivers a day off by taking your loved one on an adventure around town. What if My Loved One Has Behavior Issues? We touched on this briefly before, but it’s an important question to ask. Memory care facilities are trained to deal with your loved one’s behavioral issues. They have specifically formulated behavior plans for outbursts, no matter how big. The best part of these behavior plans is their goal: helping your loved one through the issue. They tend to work with your loved one to make plans for leaving situations that are upsetting. Instead of getting to the point of an outburst, your loved one and their caregiver might make a code. It’s just another small thing to help the brain remember new material. Memory care facilities are always secured too. They provide your loved one with 24/7 surveillance so they don’t wander off. They also provide scheduled medication times, so your loved one doesn’t retake their meds or forget them all together. Their goal is to help your loved one feel safe in their new home. How Can I Get Help Finding My Loved One a Community? If you loved one has not set up a plan for their assisted living life, you can reach out to us. Above and Beyond Senior Placement provides you with free senior care placement options to choose from. We take everything into consideration, from your loved one’s care needs to the monthly care budget. Our goal is to provide you with all of your options, so you know exactly what you are getting into. There is no bias, only options. Our goal is to work with you to get your loved one the care they need. Our memory care placement services require an intake session. In this session, we take the time to get to know you and your loved one. We want to hear your story and understand your situation. From there, we can start to talk about the care options you will need for your loved one. These options start to narrow our list down, so we can help you find the right care for your loved one. Remember, this service is free of charge to you or your loved one. We’ve seen it all, from the fully thought out to those who have zero plans. Our team is ready to find exactly what you need in your budget. We help you find every option available to get your care paid for. The goal at Above and Beyond is to make senior care placement as easy as possible. With over 20 years of experience in the field of senior care placement, Above and Beyond is equipped to handle any situation you may run into. We can help your family make this transition to senior care better than anyone else.